Ross Oscar Knight and KIS (cubed) Behind The Scenes Footage from Ryan Rodinis on Vimeo. Its been a year plus 2 months and now you can finally see the rest of the story! Maybe then you can tell me why I decided to wear all black at a shoot on what must have been the hottest day of my life?? Sunburn + Dehydration. 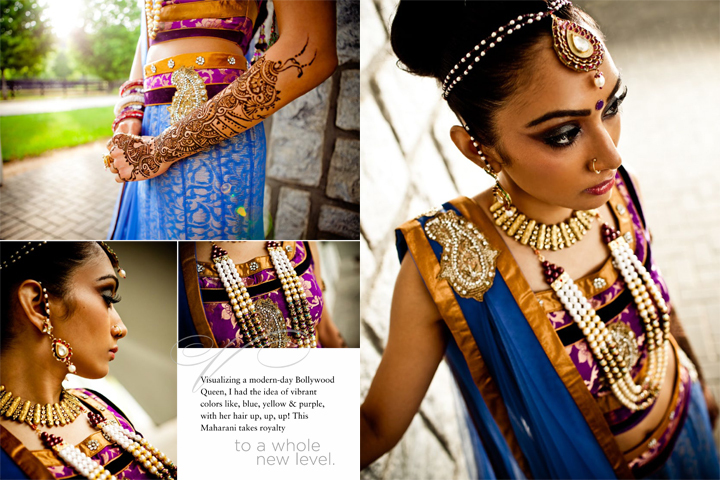 We held these images until they were recently published in the Maharani Magazine Inaugural Issue out this Summer. The beautiful 8 page spread can be viewed (page 46 - 53) by clicking here. Editor and Blogger, Shawna Gohel, had more to say about the shoot 1, 2, 3, and 4. Excerpt from April 2011: "Yesterday I braved the fog, heat, rain, horses, frogs, birds, spiders, mosquitoes, flies, and even a polo player for a 13 hr fashion shoot at the Foxhall Resort & Sporting Club. We started at 6 AM and called it quits with a champagne toast at 7 PM. With rain boots handy to walk through the marsh and tip toe down the bank of a lake, I lost 5 lbs and had to be driven home at the end of the day. The result? A beautiful collection of images for your viewing enjoyment!" For a complete list of all the amazing vendors that helped Nirjary and I to put this fab shoot together view the credits at the end of the post. Your photos are beautiful as uusal, Ross. You are a masterful storyteller. And the video...tight! It totally drew me in. Loved watching you work. Ross, as always nice work!! Absolutely EXQUISITE- the colors are so vibrant!!! WoooooooW!!!! Sooo memerizing, amazing and all around just inspirational thanks for sharing this stuff Ross it is sooo amazing! Me oh my! When when is your NYC workshop please? This was so cool. Your work has just grown tremendously over these last few years. Congratulations! this is ridiculously amazing. smh. like really amazing. My Other Baby Sister Just Got Engaged! My Baby Sister is Almost Due! Fond Memories of my Dad - Happy Father's Day! !